During the summer (also known as the Wedding Season) this blog averaged one post a month. Now that there's finally time to breathe, I can barely hold myself back from posting multiple times a week! I went through my photos folder and found all the ketubot I'd been commissioned to make, and I mean to share them all with you here, one by one. I feel bad it has taken me this long! I'm sure I'll forget a few, but I'll do my best to include all (the ones I photographed, at least). 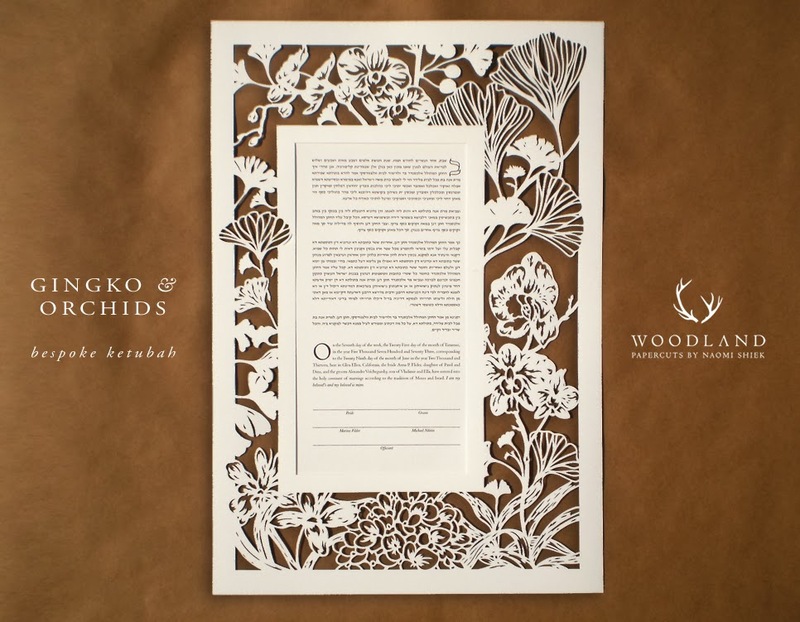 So let's start with this ketubah, aptly named GINKGO & ORCHIDS. Sure there's a hydrangea in there as well, but what this ketubah is all about is the ginkgo leaves and the orchid flowers. I love these leaves so much, they're bursting out of the frame! This ketubah was a custom order commissioned in May by Allison & William for their 5th wedding anniversary which took place in August. Being an anniversary present this was not a usual request for me, and I was thrilled to be asked to bring the idea to life! 13X19 inches big, their one directive was to make the gingko leaves eye catching. I was excited for the challenge. 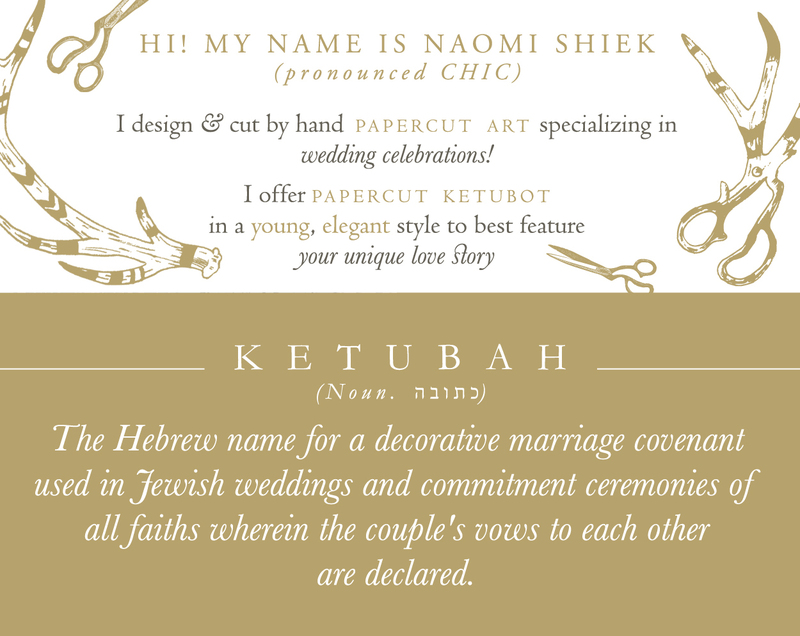 FOR MORE PHOTOS OF THIS KETUBAH, SEE THE CUSTOM KETUBOT GALLERY. 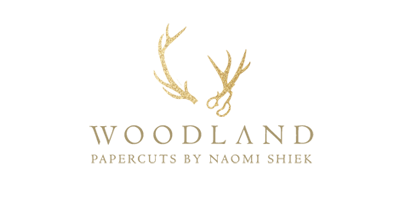 IF YOU TOO ARE INTERESTED IN A CUSTOM ORDER, PLEASE READ THIS PAGE OR FEEL FREE TO CONTACT ME AT woodlandpapercuts@gmail.com!